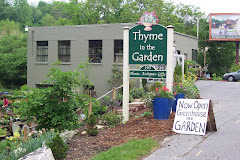 Thyme in the Garden: Next Week BIG VALENTINE'S SALE! All next week, FEB.8th-13th, our Valentine to you dear customer, is a BIG SALE. All our glazed ceramic pots will be 40% OFF! Everything else will be 20% OFF! 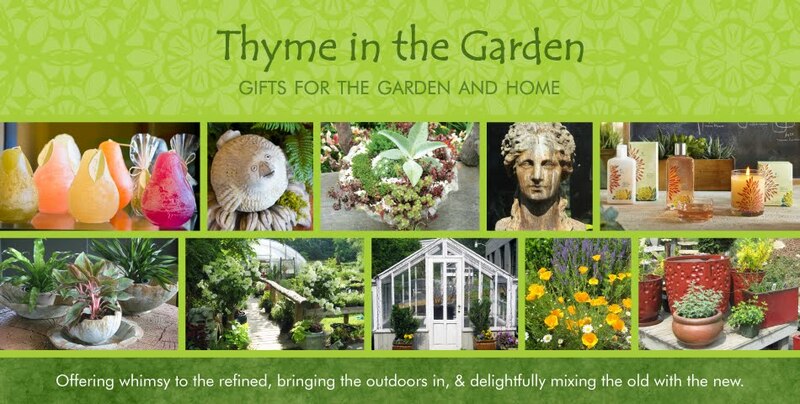 We are hoping to make room for our Spring delivery of exciting new pots and all kinds of new unique and beautiful gifts for your home and garden. We've still got a great selection of pots of all sizes, shapes and colors, so please come and let us help you find the right one. It won't be long until it is time to start getting over our drab winter and let us help you fill those containers with beautiful spring color!